At Karitane, we encourage sleeping strategies that respond to your baby’s cues. Doing so will help them feel contained, safe and secure. If you find a need to change the way you settle your baby, allow days and weeks to adjust to the new method. Remember to be consistent. If you’ve had enough or if your baby becomes distressed, tend to your baby calmly. What do I need to know about sleep? Having a good understanding of your baby’s sleep needs, cycles and tired signs is helpful when trying to soothe them to sleep. There are many ways you can support your baby, so learning which method works best takes time and varies from child to child. The following video outlines normal sleep cycles and routine developing, to help you better understand your baby’s sleep. How do I know if my baby's tired? The more time you spend with your baby, the more familiar you’ll become with their cues. 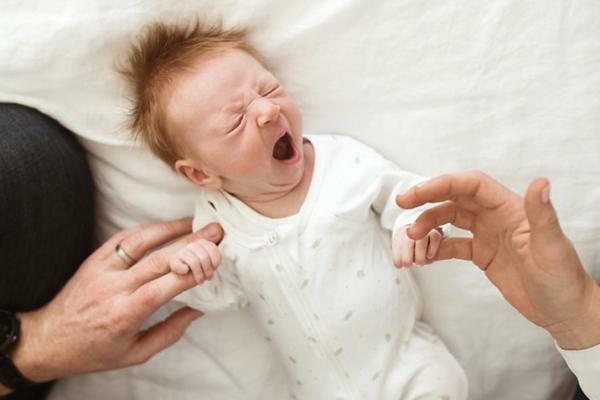 When your baby begins to show tired signs, it’s time to prepare them for sleep. Babies can go from being very active and alert to very sleepy, quickly. If your baby gets to the crying stage, they’re already overtired – and an overtired baby finds it much harder to sleep. It’s important to note that keeping your baby up during the day is unlikely to make night time sleep easier or longer. How much should my baby be sleeping? Sleep needs vary from child to child. As babies get older, they require less frequent sleep, and are able to stay awake longer before tiring. A simple, flexible plan you may like to implement into your baby’s daytime routine is the feed, play, sleep pattern. Remember, all babies are different. Variation in routine may be necessary to meet your baby’s needs. How do I establish an appropriate sleep routine? Routines are beneficial for children of all ages. Predictability helps your baby feel safe and secure, while promoting a sleep wind down. Karitane Tip: It’s best to feed your baby after they wake. Babies that are fed just before sleep may come to depend on a feed to fall asleep as they get older. How do I settle my baby to sleep? To move your child into sleep they need to feel safe, relaxed and secure – as well as physically ready. If you change the way you settle your baby, allow ample time for them to adjust to the new strategy. Responding to their cues is the best way to make them feel safe. We can’t stress the importance of your baby’s sense of safety and security enough. This helps them relax and move naturally into sleep. Always be patient and don’t be afraid to ask for help if you need it. This strategy is useful for young babies and older babies that have difficulty settling. Cradle your baby in your arms, with or without gentle rocking, until they’re calm. In the early days, you may need to hold your baby until they fall asleep. Gently place your baby in their cot, on their back. If your baby stirs or becomes upset when placed in the cot, offer them comfort until they’re calm. If your baby becomes distressed, pick them up and return to the first step. Karitane Tip: You may like to combine this method with the hands on settling strategy to offer your baby greater sleep support. After your regular sleep routine (e.g. wrap, story, cuddle) gently place your baby in their cot, on their back. Watch and respond to the cues your baby offers. Karitane Tip: If you feel like you’ve had enough, or your baby isn’t calming, stop and use a different strategy. Comfort settling is different to hands on settling, in that it allows space for your baby to discover their own preferred method of falling asleep. Prepare for sleep with your regular routine (e.g. wrap, story, cuddle). Gently place your baby in the cot, awake, on their back. If this is a new strategy, stay in the room for a few minutes making soft ‘shh’ sounds. If your baby remains calm, leave the room. If they become unsettled, stay and provide reassurance until they’re calm. When you leave the room, remain close by in case further reassurance is needed. If your baby starts making noises wait before intervening. Babbling, whinging, brief cries and movement are common when your baby tries to settle. If your baby’s cries go up and down in volume, wait a short time to see if they settle. If the noise continues to increase, return to your baby and offer comfort while they’re still in the cot. If this doesn’t work, use the hands on or settling in arms techniques. Try this method again on the next sleep cycle, as your baby will learn with consistent, predictable patterns. This strategy is useful for babies who become distressed when their parent leaves the room. Establishing it may take anywhere from 1 – 4 weeks. During the day, stay in your baby’s room until they’re asleep. During the night, sleep in their room. Have a calm, quiet, dimly lit room. Ensure there’s a bed or mattress for you to lie on. Stay in your baby’s view, remain calm, close your eyes and breathe slowly. If your baby wakes, make a small noise or movement to remind them you’re there, without interacting directly. If your baby cries and needs reassurance, offer comfort with ‘shh’ sounds or gentle phrases like “it’s time to sleep now". Move onto other forms of comfort as needed. Aim to keep your baby in their cot. Once they’re calm, lie down, close your eyes, and breathe slowly again. Once your baby has had three consecutive nights of relatively uninterrupted sleep, you can begin to leave the room before your baby sleeps and move to your own room. If you find this strategy doesn’t work, stop and try a different method. The main aim of gradual withdrawal is for your child to learn to fall asleep independently. This strategy is particularly suitable when transitioning from a cot to a bed. Gradual withdrawal begins with you staying close to your child while they fall asleep. Over the next few days or weeks you’ll slowly move further away, until your child is confident settling on their own. Gently place your child in bed. Start by sitting beside or on the bed. Initially your child may prefer physical contact, like holding hands. Avoid discussion and responding to requests like “I want a drink" or “another story"
If your child gets out of bed continually, calmly take them back. Over the following days and/or weeks, gradually increase the distance between you two. Eventually, you’ll be outside the room. Once outside, reassure your child you’re nearby. If your child leaves the bed, calmly take them back, reminding them “it’s time for bed". Karitane Tip: If your child doesn’t go to sleep during the day, don’t be discouraged. Each attempt to settle in bed is a valuable learning experience. Your baby is unlikely to relax if you keep switching strategies every few minutes. 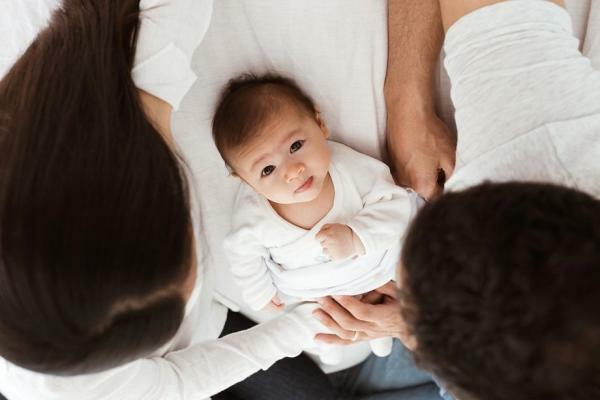 Only change methods if your baby becomes more and more unsettled, as persisting with a strategy that doesn’t work makes your baby more tired and harder to settle. Changes take time! Allow your baby time to adjust. This may take more than a few days. Karitane Tip: It’s not always easy to know when to persist and when to change strategy. For help deciding, don’t hesitate to call the Karitane Careline on 1300 227 464. We’re available seven days a week. What if nothing is working? Sometimes, using a pram to settle your baby is a good short-term option when other settling strategies aren’t working. You may decide to take your baby for a walk outside, or walk the pram around the house. When doing so, it’s best not to cover the pram – however you can use a hood to block out bright lights and distractions. Safe sleeping guidelines are recommended once your baby is settled and asleep. Remove them from the pram, and place them in a safe sleeping space, like a cot. When out with your baby in the pram, check on them regularly. Make sure they’re not too hot, are settled, and are facing towards you. Safety Alert: No matter how frustrated or upset you may become, it is highly dangerous to shake your baby. Your baby’s head is still big and heavy in comparison to their body, and their neck muscles aren’t strong enough to hold it still. Shaking your baby causes tiny blood vessels in the brain to tear and bleed, which can cause blindness, brain damage and/or death. For further explanation on the dangers of baby shaking, see the following video. Becoming a parent is a time of change with new challenges and responsibilities. Stress and difficulties adjusting to being a parent can occur during pregnancy or postnatally.